This sweet felt chocolate bunny makes an adorable headband for your little Easter egg. 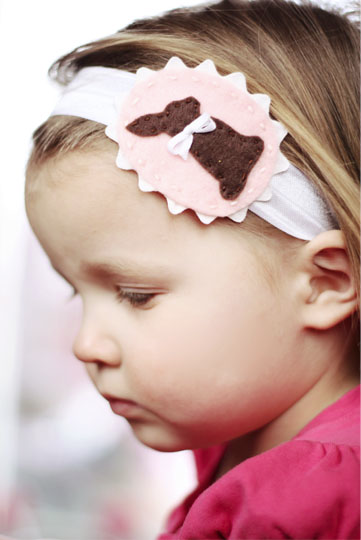 But if you don't have a cute little girl to put this on or if your cut little girl doesn't like headbands *cough*mine*cough* than this cute little guy could be used for all sorts of handy things from an Easter card to a napkin ring. You can get the template and check out the tutorial over at Mary Janes and Galoshes. That headband makes me smile it's so cute.